A fast-growing evergreen conifer, Cupressocyparis leylandii (Leyland Cypress) are often used as a privacy screen or wind-break hedge. Plants are tolerant of a variety of soils and pH levels, from sandy to clay and acidic to basic. Even through a variety of soils are tolerated, plants perform best in well-drained soils that don’t accumulate water. Wet soils or over-watering can lead to root rot. However, plants have a shallow root system so they’ll need consistent moisture in hot dry climates to become established. They can also be susceptible to fungal canker disease in southern climates. Leyland cypress thrive in a full sun location, however they can tolerate some light shade. Regular pruning of young growth is typically necessary to keep this fast grower in bounds. Avoid trimming old wood as it doesn’t regenerate adequately. Best suited for large spaces, versus small urban gardens, as plants can quickly overwhelm the small space. Leyland cypress can grow to 100 feet tall if they remain healthy. In order to keep them to a smaller privacy screen size, they’ll need to be pruned once or twice per year. With proper care and pruning Leyland cypress makes a beautiful specimen or even a container specimen. 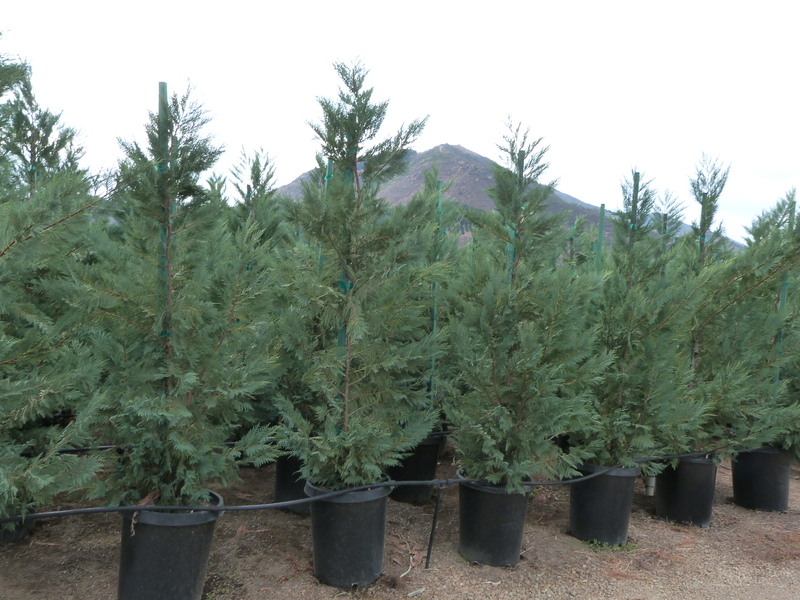 Leyland cypress are also excellent for providing wildlife habitat and they’re favored by robins, wrens, greenfinches and many more birds.